Steaming pears in a combination steam oven produces a nicely steamed pear that holds its shape and colour. This protein packed breakfast is full of colour, flavour and nutrients. It is really versatile, play around with flavours with different types of milks or fruits. Pre-heat combination steam oven to full steam. Cut pear in half, remove core. Cut each half into quarters. Place onto a tray sprinkle with cinnamon and drizzle with honey. Place into steam oven and steam for 15minutes. 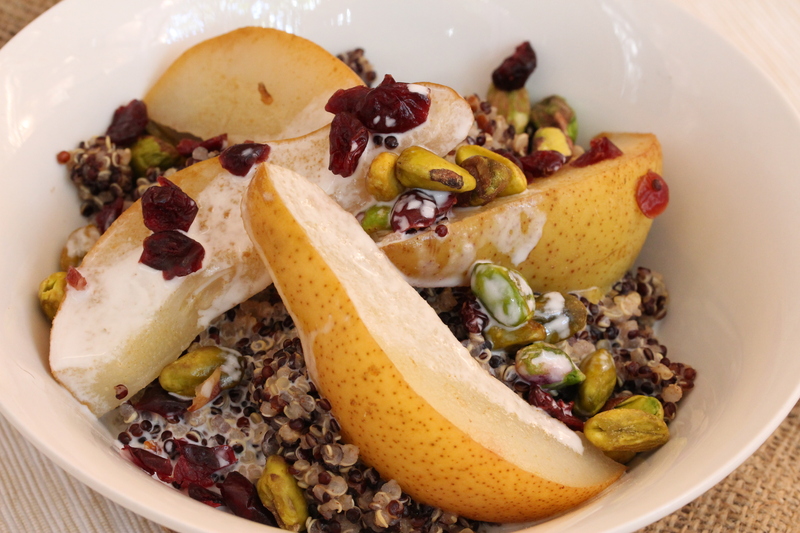 While pears are steaming, rinse quinoa under warm water. Place rinsed quinoa and 1cup of water into a small saucepan, bring to a gentle simmer and cook for 15minutes. Add coconut milk and cook for a further 5minutes until creamy. 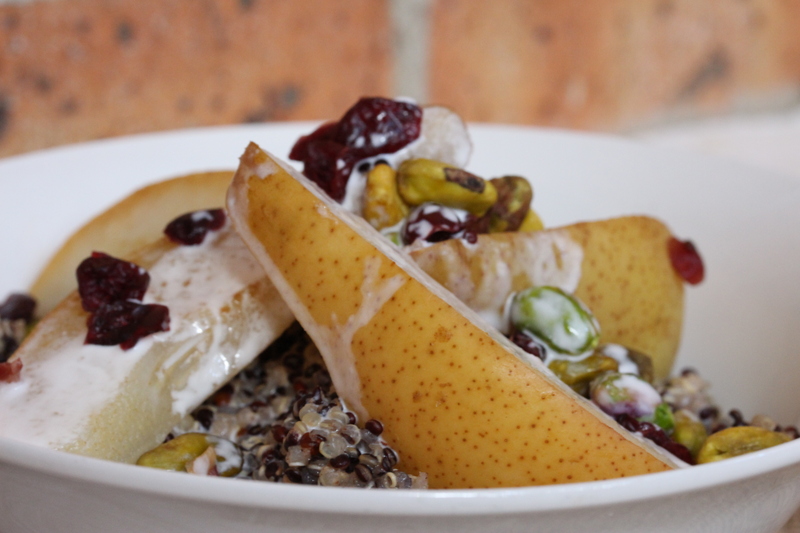 Spoon into serving bowls, top with wedges of pear, sprinkle with pistachios and cranberries, drizzle with honey. Fruits are full of vitamins, minerals and fibre which are important for our health ! Yum! I have to give quinoa more of a chance! Oh my YUM!!! I think I might be having this for breakfast very soon!